If you’ve been driving around Lee’s Summit or North Town, you’ve likely come across two attractive SUVs during your travels: the Volkswagen Atlas and Subaru Ascent. As each model continues to garner more popularity throughout Overland Park, Mission, and Olathe, we thought it would be a good idea to highlight the differences between these appealing vehicles. So, this 2018 Volkswagen Atlas vs. Subaru Ascent comparison will touch on notable features such as performance, interior space, and safety. To get more information, you can always reach out to the friendly team at Volkswagen Lee’s Summit! One of the more appealing aspects of the 2018 VW Atlas and Subaru Ascent is their respective performance specifications. A quick look at features like horsepower, however, shows that the VW Atlas offers a stronger, more precise ride. This is thanks largely to the 3.6L V6 engine, which churns out 276 horsepower. You also have another option in the 2.0L turbo engine, which generates 235 horsepower. This variety allows you to tailor performance to better fit your individual needs. 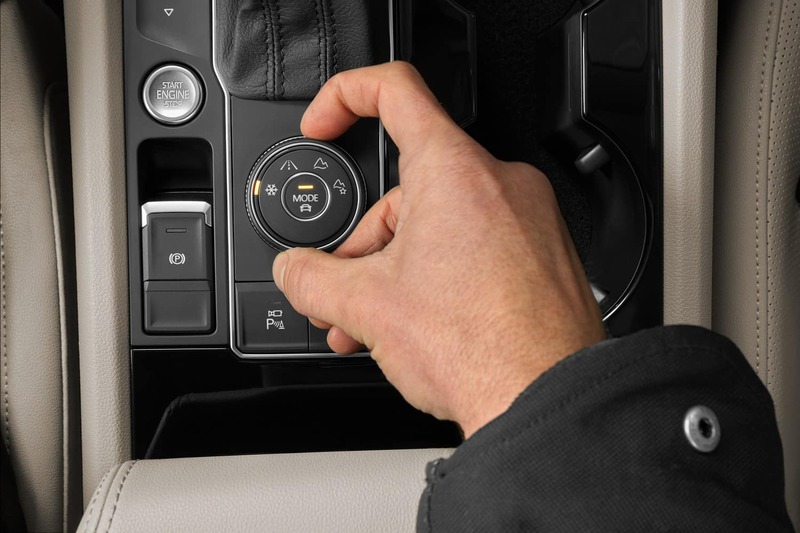 Volkswagen also supplies the VW Atlas with 4MOTION® with Active Control. This feature allows you to adjust the SUV’s driving style, so you can tackle any terrain. The four driving modes include: Dry, Rainy, Snowy, or Rough. Looking at the Subaru Ascent, you’ll notice only one engine option, the 2.4L 4-cylinder which generates just 260 horsepower. Also, Subaru can’t match the 4MOTION® feature found in the VW Atlas. 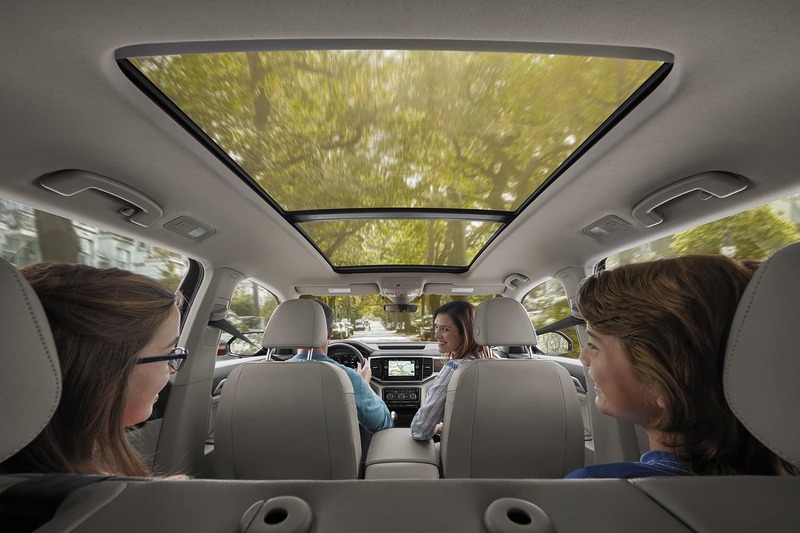 Space is a must-have feature for certain families, and both the VW Atlas and Subaru Ascent have room to spare. For instance, the VW Atlas has 153.7 cubic feet of passenger volume, which narrowly tops the 153.5 cubic feet found in the Ascent. The Volkswagen Atlas also gets the edge in rear headroom, sporting 40.4 inches compared to the Ascent’s 40 inches. The most notable discrepancy, however, comes in the form of cargo space. With the second and third row seats folded down, the VW Atlas offers 96.8 cubic feet of cargo space, which comfortably tops the 86.5 cubic feet found in the competing Subaru Ascent. Protecting passengers is at the top of the to-do list for the VW Atlas and the Subaru Ascent. To achieve this goal, both SUVs implement a range of useful, and effective, technology. The Intelligent Crash Response System really stands out when looking at the VW Atlas. Subaru offers a similar system as well. However, the Volkswagen Atlas gets the edge in safety thanks to its unique Automatic Post-Collision Braking System. This feature will help slow your vehicle immediately after a collision. 2018 Volkswagen Atlas vs Subaru Ascent: Who Ya Got? There’s a lot to like about both SUVs featured in this piece, yet the VW Atlas proves more attractive for drivers in Lee’s Summit and North Town thanks to features like superior performance and ample interior space. If you’re eager to get behind the wheel of this attractive model and go for a cruise through Overland Park, Mission, and Olathe, contact Volkswagen Lee’s Summit today! We’ll set up your test drive and answer any remaining questions you may have about the VW Atlas.